The Bedrock Blog: TEST YOUR KUNG FU AT THE TOURNAMENT OF DAOLU! Tournament of Daolu, a city adventure/supplement centered on a grand tournament is available in PDF. It is available HERE. Daolu is a city where corrupt officials and crime lords rule. 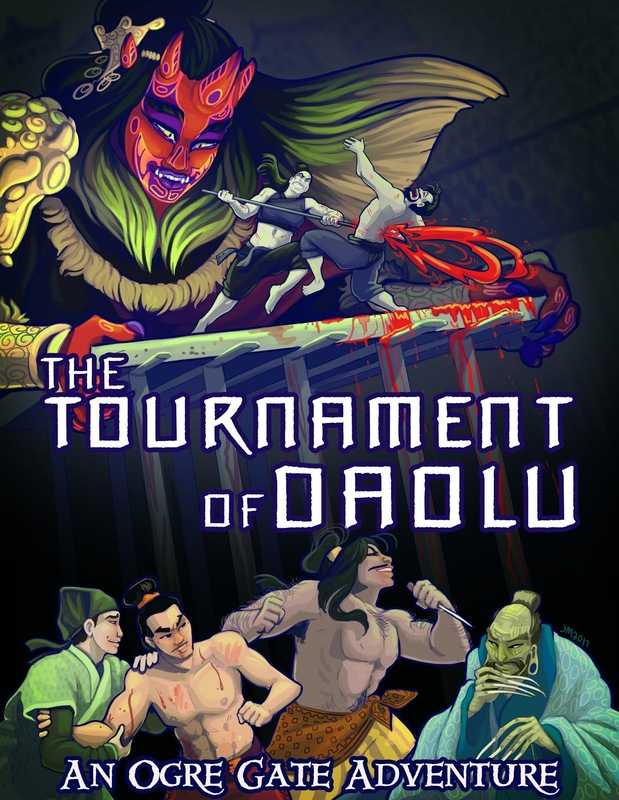 Deep in the heart of the Empire, Martial Heroes come at great risk to test their mettle and gain glory at Daolu’s tournament platform and in its gritty streets. The Emperor’s secret police can pounce from every shadow, but the prize is the much-coveted Chariot of Du Qian, and it is well worth the danger. The city abounds with opportunity as well. Some come here to make their fortune; others die in a pool of their own blood. If you have the cunning and strength, it is possible to rise high in Daolu. 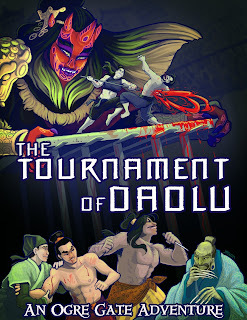 The Tournament of Daolu is an adventure and setting supplement for Wandering Heroes of Ogre Gate. Inside is a complete description of the city, a time-bending scenario through the chronicles of history, and many more opportunities for adventure. Also included are two maps of the city of Daolu: one from the present era and one from its dark past during the reign of the Demon Emperor.